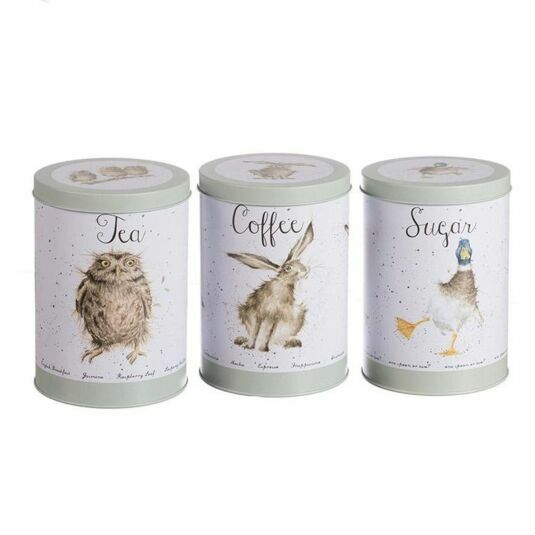 Stylish and beautifully illustrated, these storage canisters will fit perfectly into a country kitchen. The lids sit flush against the the tin so the contents are kept airtight. The metal tins are light green and white with a matt finish. 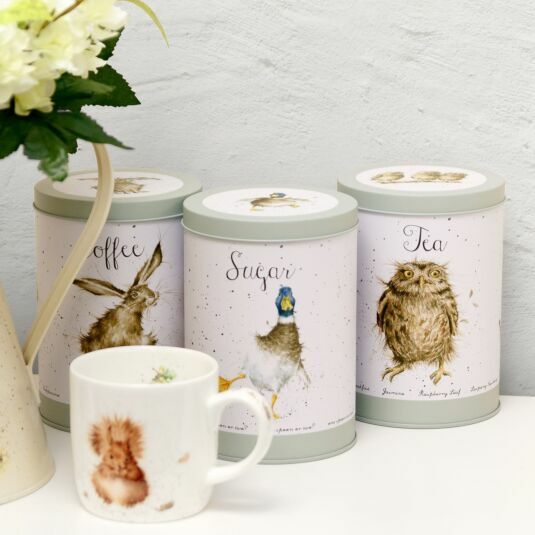 This tin features a series of illustrations of owls from the Country Set series. The front of the tin has “Tea” written in a handwritten script at the top. 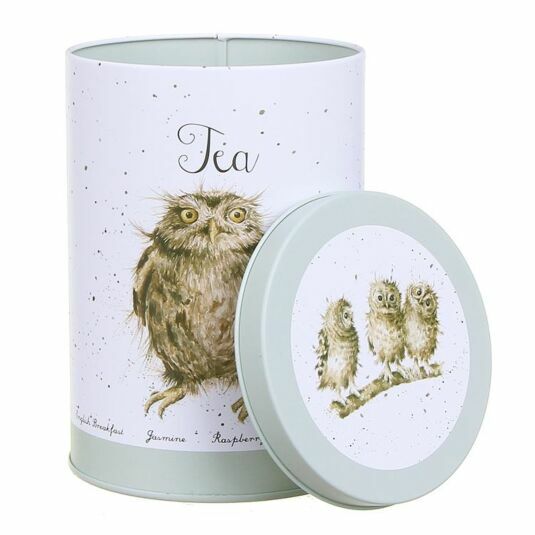 On each side of the tin is a different owl from the series. Around the outside of the tin also, are the names of some popular teas including “English Breakfast”, “Peppermint”, “Green” and “Redbush”. 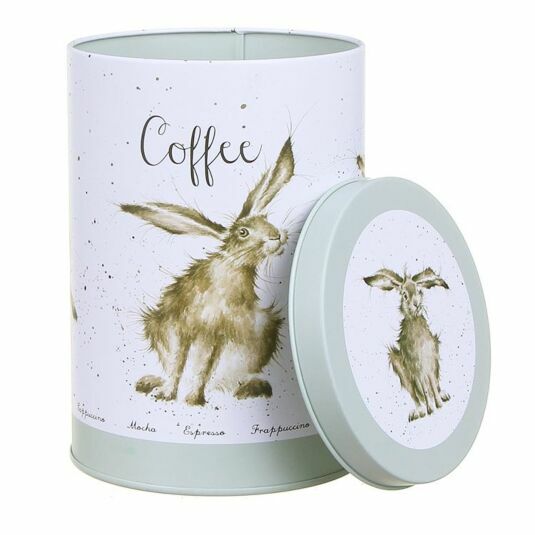 The outside of this tin features illustrations of hares from the Country Set series. The front of the tin has “Coffee” written in a handwritten script at the top; around the outside of the tin also, are the names of some popular coffees including “Cappuccino”, “Frappe”, “Mocha” and “Espresso”. The inside of the tins continue with the beautiful illustrations, on the underside of the lid and inside. The interior of the tin is light green but has a white border around the top with illustrations of feathers and handwritten script. 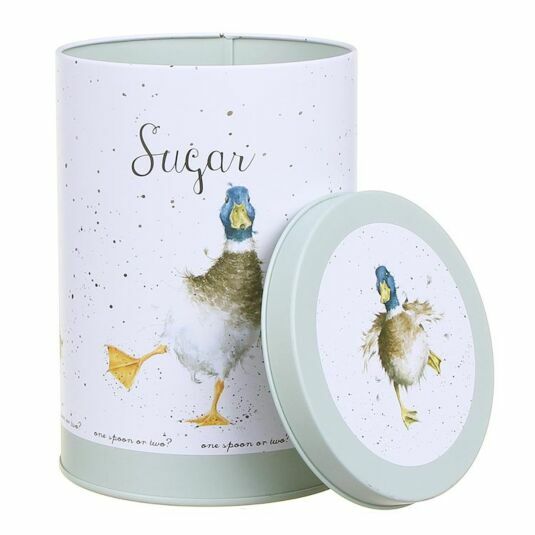 The bottom of the tin features a drawing of a shopping list with the words “Tea Bags!” for tea "Coffee" for the coffee tin and "Sugar" for the sugar tin listed on it. 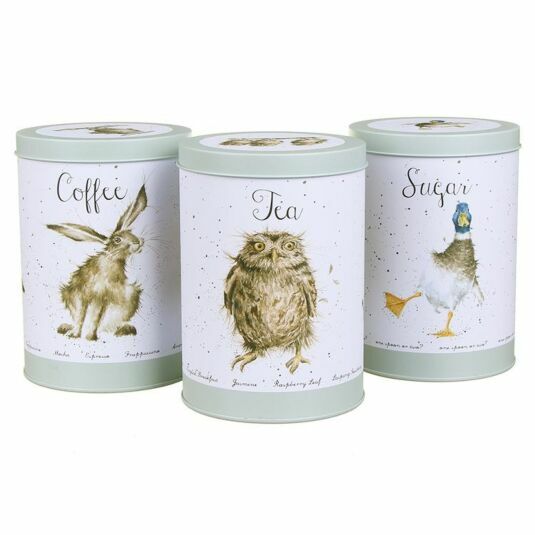 These three tins come as a set and certainly stand out from the crowd, great additions to any kitchen. They would make a lovely gift for a new home, or simply for someone who wants to freshen their kitchen look.